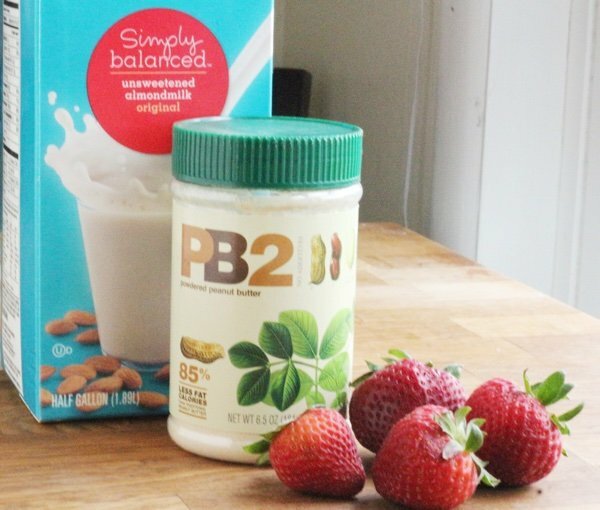 You must try this peanut butter and jelly PB2 smoothie recipe. It is fast, easy, and has 11 grams of protein! I have been in love with smoothies as a healthier treat for years. My favorite for a long time was a green smoothie since I didn’t know I was drinking kale. My green smoothie doesn’t taste like grass. Seriously. PB2 came along and I have been enjoying chocolate PB2 smoothies because who doesn't like chocolate and peanut butter? PB2 is a by product of making peanut oil. Basically, it is what is left after you wring out all the fat. I use it as a flavoring agent and it increases the amount of protein in my smoothie without increasing the calories (like actual peanut butter). This smoothie uses the fresh strawberries you can find in the store now (but you can also use frozen ones which will make it more of a slushie). I found this smoothie not very sweet so you might want to add a little honey if it isn’t doing it for you. 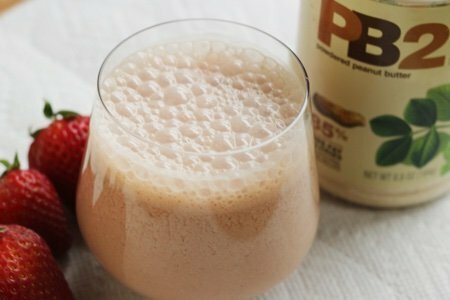 Recently, I tested another peanut butter powder – Pbfit Organic – and I liked it as well. I have attached a link to Amazon below. It is great to have an organic option because I usually buy organic peanut butter. Peanut butter continues to be one of my favorite foods and if I take a jar out of the fridge, my dog Milo comes running. He also loves peanut butter almost has much as he loves chicken. My children can’t take peanut butter to school because of a ban on peanut products. A few kids have peanut allergies and so no one can bring it. I still feed them peanut butter for breakfast on their toast and put it in their oatmeal. How do eat peanut butter? Do you like PB2? This PBfit peanut butter powder was received for review consideration. No other compensation was provided. 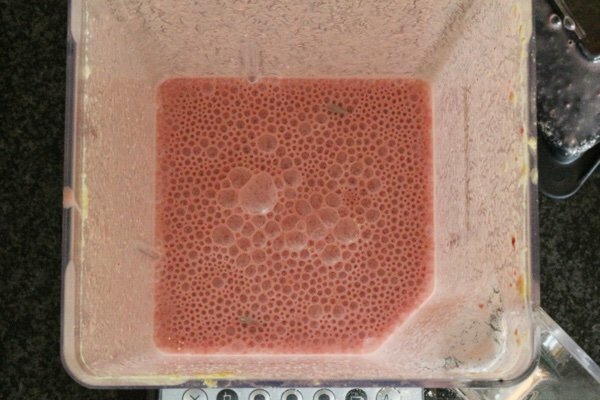 Toss strawberries, PB2, and almond milk into a blender and blend until smooth. Enjoy immediately. I have been using PB2 for a few years now and just love it. I make the smoothie just like you but I add what ever fruit I have, sometimes strawberries, other times banana, or blueberries. Plus I put in 4 ice cubes...Then I sit back and enjoy it before I have to start my daily chores...LOL..
Yea I make a similar smoothie but add cocoa powder, vanilla extract a tbsp of honey or brown sugar,along with a banana or strawberries etc. Love it. Usually only use it in smoothies. Add cacao powder and frozen banana. I use the same brand. 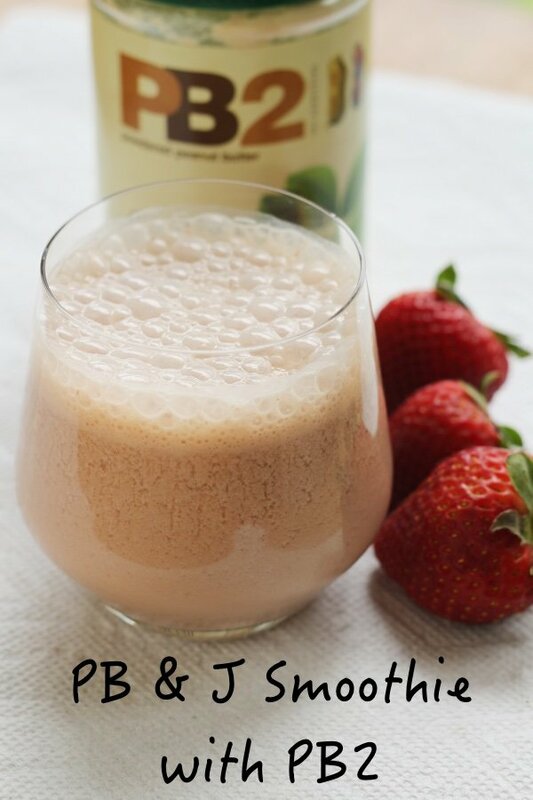 This PBJ smoothie, with fresh berries, would be a yummy concoction for a night-time snack! Thanks, Lisa for the delicious idea! A Slice Of Bread Also With A Tablespoon Of it Approximately 200 Calories. Made this after my run this morning, very refreshing! I make 2 tbsp of choc pb2 with a little extra water so it is the loose consistency of a dip. Then I dip my role gold pretzel sticks (50 sticks is a serving) in it as a snack.